Our W.R. Case & Sons knife reference guide is a great place to learn about all things Case. It’s an invaluable resource for begging pocket knife collectors & a great refresher for veteran collectors. You will find a great deal of information here about older vintage knives, & a descent bit about newer production Case pocket cutlery as well. Be sure to stop by our store & shop for W.R. Case pocket knives when you get read up to add some examples of a great brand to your collection! The links in the table below offer a detailed explanation and reference to the countless stamps and markings found on Case knives. Case’s Knife Numbering System This link will explain W.R. Case’s numbering system that the company uses to represent knife patterns, handle materials, and other characteristics about its knives. Blade Abbreviations In addition to the pattern number, W.R. Case often stamps additional letters that represent certain blades or other unique characteristics incorporated in their knives. This link contains information about these characters. Dating Case Knives This link will provide information about Case’s tang stamps, and how they can be used to identify when a knife was made. 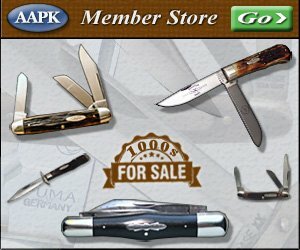 The following links offer illustrations and information pertaining to the many different knives manufactured by Case. Case Knives by pattern number This link lists most of Case’s knife patterns by their factory pattern number, shows a picture, and gives each knife a name, along with a description. Case Knives by name This link lists most of W. R. Case’s knife patterns by name alphabetically. Here you will find pictures, descriptions, and the pattern number that has been assigned to each knife. These links will show images and descriptions of the materials and components used by Case and how they are put together. Handle Materials used by Case Here you will find pictures and descriptions of the various handle materials used by Case. They are listed by their respective handle number designation. Blades and blade material used by Case Here you will find pictures of the various blades that are used on Case knives along with the various materials that they are made of. The Construction of a Case Knife Here you will find an in depth look at the components of a Case knife, and how they are put together. Case Knife Shields Here you will find an in depth look at many of the shield variations used on Case knives. They are useful in helping get an age approximation of any given Case pocket knife.